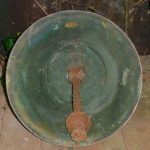 I’m already resigned to the fact that I’ll never own the set of 8 full size church bells intended for the chiming train. However, I do now have one so the clock will at least be able to strike the hour. 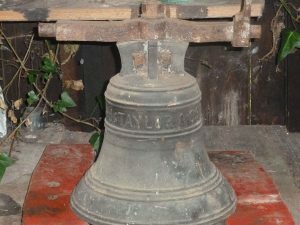 This is a proper bell too, exactly like you would find in your local church. Admittedly it’s at the smaller end of the scale but it really looks the part. 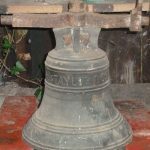 It was cast by John Taylor & Company Loughborough who, just like Smith of Derby who made the clock, are still going today. 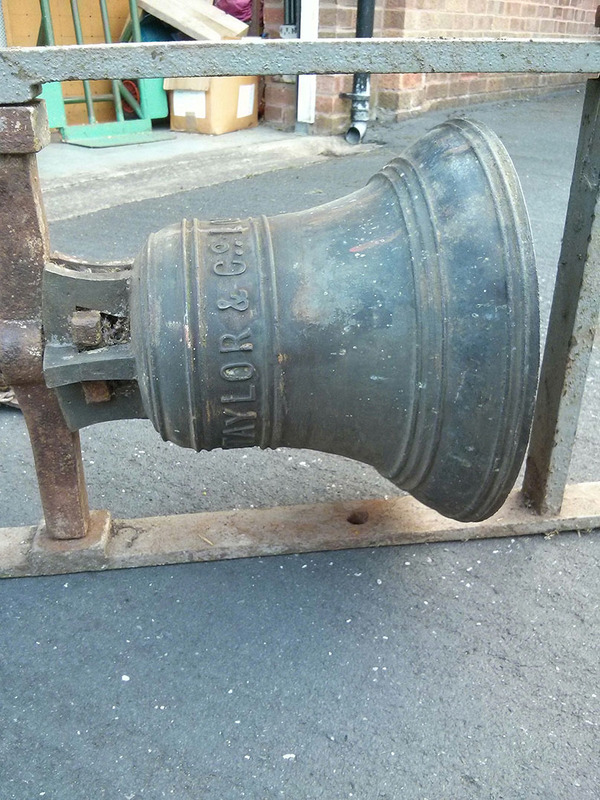 I bought the bell a couple of weeks ago from a retired GP near Tamworth via e-Bay. 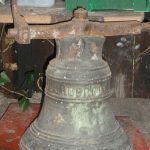 According to the listing it was “probably made around the turn of the 19th/20th century for a school in Norfolk possibly Stoke by Nayland”. 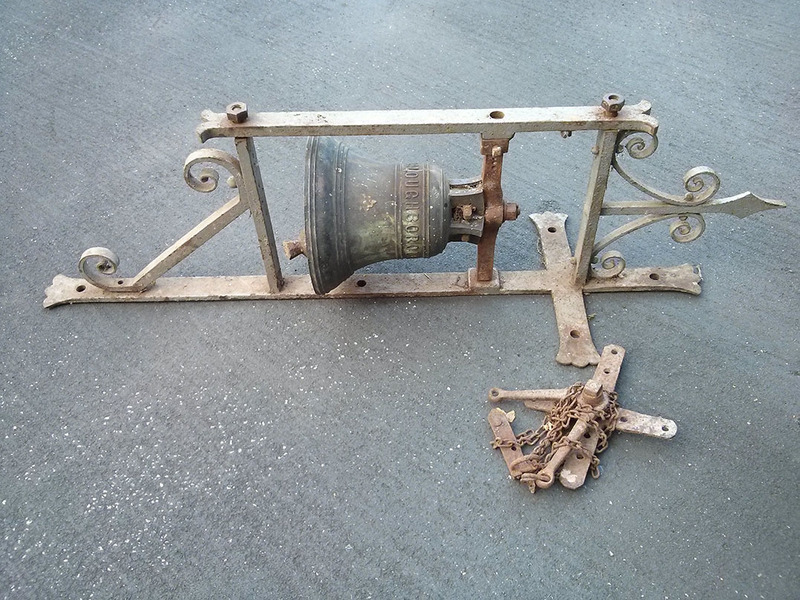 It came with a substantial bracket and was intended to be wall mounted and rung by pulling a chain. The bell itself is 12.5 inches in diameter, 13.5 inches high and weighs 56 lbs. 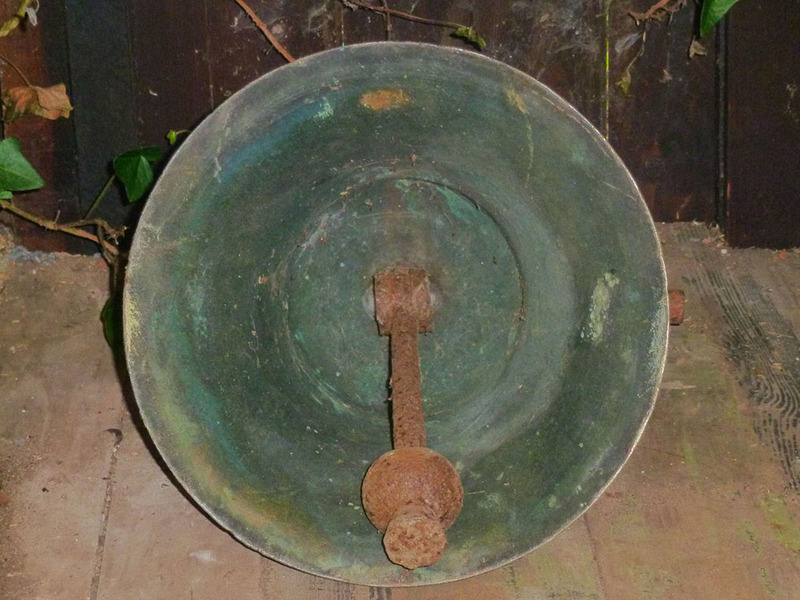 The previous owner of the bell did say that he’d had the bell checked out and that the length of the ringing tone was slightly shorted than it should be and so there could be a crack. It rings well to my ear and there is certainly no visible defect so I’m happy with it. 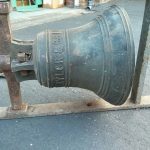 Don’t forget that Big Ben has been cracked pretty ever much since it was installed, mind you Big Ben doesn’t sound particularly good so that’s not saying much. 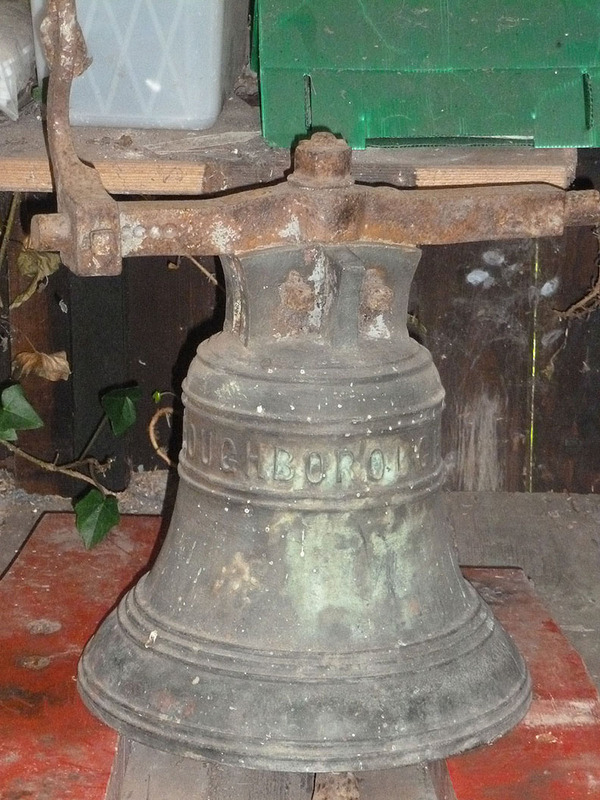 The funny thing here is that before this bell went on eBay the previous owner offered it to UK Architectural Antiques in Staffordshire, but they weren’t interested because of this potential defect. 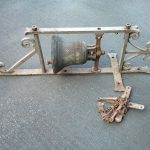 This is the same company from whom I purchased the clock which, it should be fairly clear from this blog, was a long way from being in mint condition!